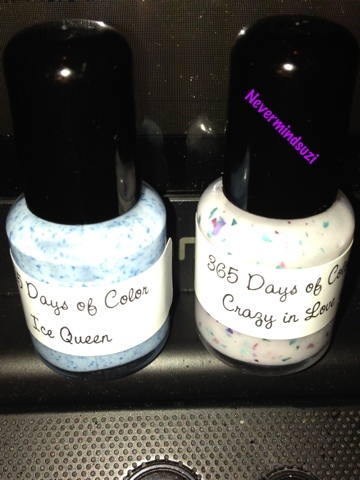 I've got 2 of the fabulous colour changing polishes from 365 Days of Color to share with you. 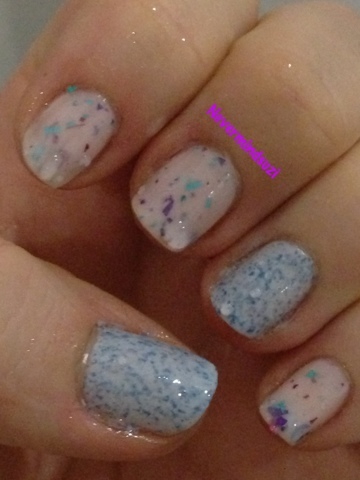 Ice queen is a milky based blue with blue foil through it, kind if reminds me if Smitten's - Winter is Coming. 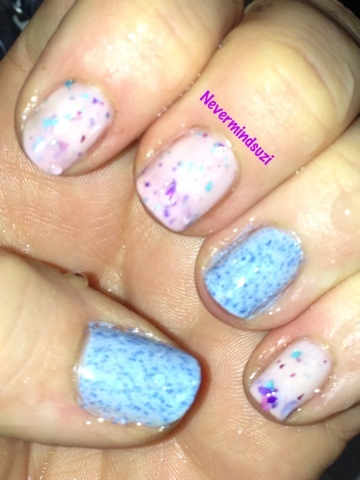 Crazy in Love is a milky based lilac/pink with teal, purple and pink through it. 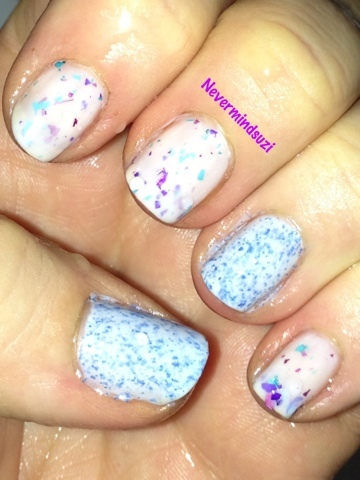 When warm the polishes are more white based. When cold they go darker blue and darker pink. 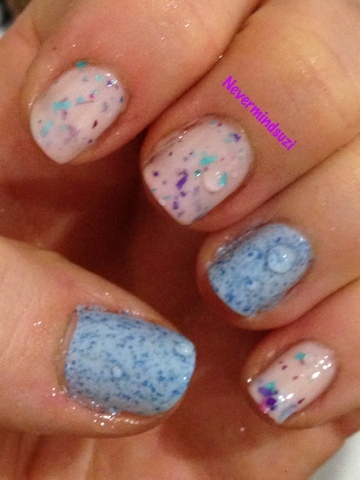 To demonstrate I have ran my hands under hot and cold water hence the water drops, hehe.